‘Not the least ornament and embellishment of this city’: it was in such terms that the Hamburg town council described the status of music in the city’s public life in the year 1615. 40 years after the opening of the first public opera house (in Venice), the date of 1678 marked the inauguration of its German equivalent: this was the stamping ground of such masters as Keiser, Erlebach and Schürmann, but also of a certain (very!) young man named Georg Friedrich Handel. 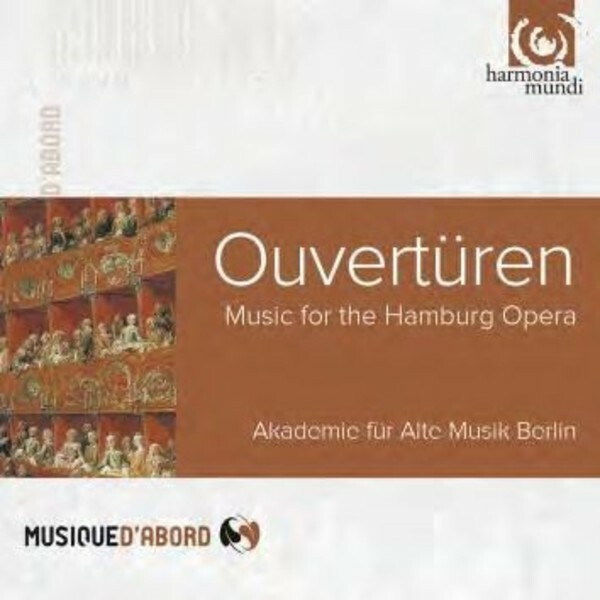 This CD contains a selection of the finest overtures and orchestral suites from the Hamburg Opera’s first 40 years.